Oh I love this clever stuff - thank you for doing all the thinking! Typically I use versacraft fabric ink, let dry then set with a hot iron. However, I've been experimenting with pigment ink stamp pads lately since they are widely available and i have had great success. 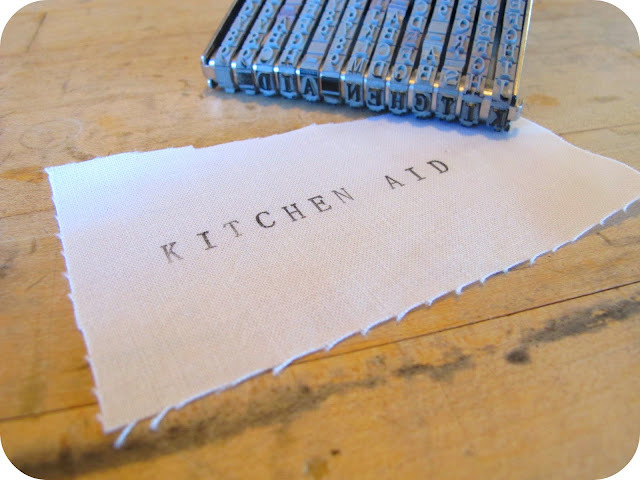 I follow the same steps with the pigment ink; stamp, let dry, then iron with a hot iron to set. I would also add that on the first press of the ink I put a bit of scrap cotton on top and then the iron. If the ink isn't totally dry the excess will come off on to it. Thank you for sharing this tip! It is definitely something I need to start doing - take time and stamp first! lol! I think I actually found her through your pinterest! she is great and does quick fabulous work! 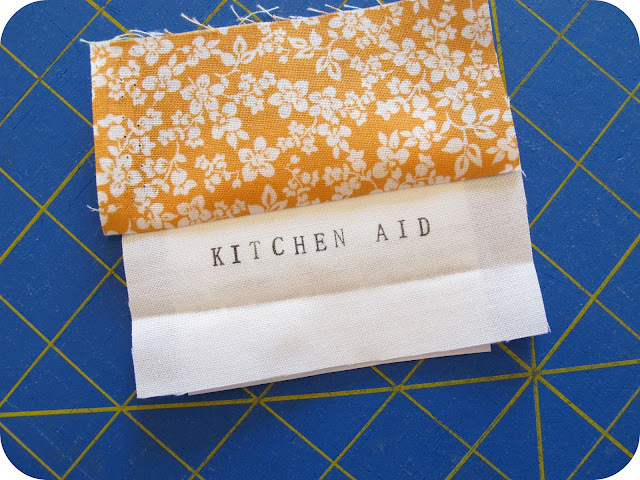 Thanks for the tip ~ I've not done much fabric stamping but think I should start! Really looking forward to the tutorial on Kitchen Aid! YAY! I'll be posting the tut for the kitchen aid cover sometime this week and the pattern set will be available sometime this month! I can't wait to see what you have in store! I have done some stamping on fabric - but I love that fancy stamp, much easier and straighter than my my letter-by-letter method. Hi, please could you advise me about the stamp used in the picture? What it is called, the make and where I can purchase one?